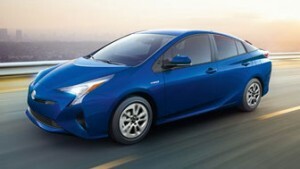 Once again, a Toyota Prius powerplant has been named to the annual Wards 10 Best Engines List. This year, it’s the Prius’ latest 1.8-litre dual-cam four-cylinder engine with 53-kW drive motor that has been recognized by the experts at Wards Auto. The powerplant is the latest to power the all-new Toyota Prius, and though all previous Prius powerplants have earned recognition on the popular 10 Best Engines list, this year, the win is even more special, as the competition is fiercer than ever. Find out more about the All New 2016 Toyota Prius on the Milton Toyota website. Editors and testers at Wards Auto report that the 2016 Prius powerplant sets new benchmarks in drivability, efficiency and value; the latter likely driven by the return of Toyota’s proven, high-volume 1.8-litre engine architecture. Though the very heart of the Prius’ engine is well known and proven, updates and enhancements have been rolled out aggressively. “This is state-of-the-art for high-mpg hybrids,” sums up editor Bob Gritzinger. The results of the engine upgrades, which strategically targeted things like parasitic friction, wasted heat and combustion-related inefficiencies, is an engine that breaks past the thermal efficiency ‘barrier’ in the mid thirty-percent range. In fact, the new Prius’ engine is the world’s first to achieve maximum thermal efficiency of 40 percent, according to Toyota’s internal tests. Higher thermal efficiency translates into less wasted energy, and a higher proportion of an engine’s fuel supply being used to propel the car. The high thermal efficiency is partly to thank for effortlessly good fuel economy reported by Wards Auto testers, who were able to achieve excellent fuel economy without changing driving habits. 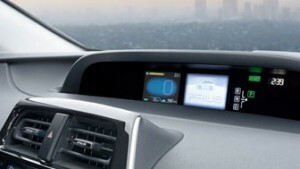 The Prius also uses sophisticated thermal management systems, which make better use of the engine’s heat, enhancing fuel economy and reducing he efficiency compromise sometimes associated with use of a hybrid in cold weather. Notably, a new Exhaust Gas Heat Recirculation (EGHR) system cleverly uses the engine’s exhaust heat to warm the engine coolant, increasing heater system performance in cold weather and reducing the need to run the gasoline engine to heat the cabin. It’s all about neutralizing compromise and improving efficiency. Continual innovation, advancement of hybrid technology, and delivery of ever-improving levels of value have helped the Prius sell well over 8 million copies globally to date. Shoppers considering upgrading into a 2016 Prius, or shoppers considering a Prius for the first time, can expect the most innovative, efficient and intelligently-engineered Prius to date, built by the undisputed world leader in hybrid car engineering. The award-winning 2016 Prius is available for test drives now, with pricing from $25,995.Find out more about the All New 2016 Toyota Prius on the Milton Toyota website.